July 27, many astrologers consider the most dangerous day of summer. The lunar eclipse, which will occur today, will be the longest in the 21st century. Oil to the fire will add the opposition of Mars and Earth. Today, even the law of attraction of thoughts can be powerless in some situations. Stay tuned, but remember that caution will be needed today. 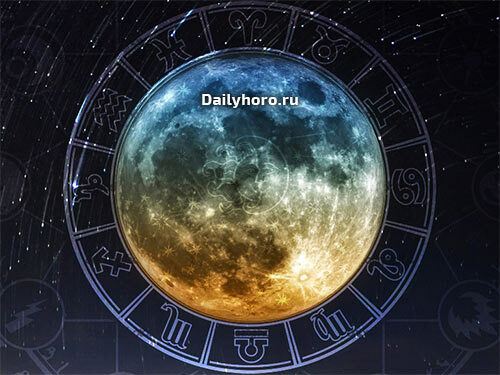 Phase of the Moon: in the 14th lunar day there will be a full moon in Capricorn. Even this fact is enough for astrologers to call the day very dangerous. The negative impact of the eclipse will affect almost all spheres of life. Magnetic Storms July 27: Meteorologists note the lack of activity of the Sun, and this means that meteo-sensitive people should not be afraid of the negative influence of solar winds. Important events of July 27: the forthcoming eclipse of the moon will be the longest in this century. It will begin at approximately 23:30 Moscow time. The moon will take on a blood red hue. During the main phase of the eclipse, our satellite will partially disappear from the night sky. The second important event is the maximum approach of Mars to Earth, called the great opposition. In astrological terms, this phenomenon is of great importance for each of us. dates, romantic meetings and dating. At home today it is better to just relax, because the energy chaos generated by the Full Moon in Capricorn and the opposition of Mars can lead you to a state of nervousness at any second. You shouldn’t linger at work — hurry home to your home walls. Try not to attract too much attention. Bright colors today will not benefit. The only exception is the blue color, which has a regenerating property. This Full Moon will be destructive, so charms will not interfere: for example, moonstone, silver and platinum jewelry. On this day, it is important to maintain good relations with business partners, colleagues and bosses in order to maintain good luck. Sincerity will be the most important quality of any person. If you can find an opportunity to work with a person from whom you can learn something, then act. New information will be digested very well today. July 27 is the day of big dangers in the financial sphere. It is unfavorable for large purchases, because the energy of an eclipse and a strong Mars can negatively affect your intuition. Today, people will not be empathetic, responsive and peaceful. On the contrary, many will be cruel and selfish. This day may be one of the most controversial over the past few months. Talk with people about your emotions and problems, open up to each other. This is the only way to preserve harmony. The mistakes of your colleagues, the second half, or relatives, forgiven by you today, will benefit your relationship tomorrow. The day is good for strengthening love. Do not build illusions about others. If you meet with someone, do not judge a person by the first minutes of communication — this can greatly disappoint you later. Good mood will be under attack on this day. This means that you do not need to spend energy on things that you do not have priority. Five effective techniques will help you to get positive emotions and get rid of anxiety. Try to go to bed as early as possible and do not take up important matters in the evening, before going to bed. If you are coming trip, then double check everything to forget nothing.